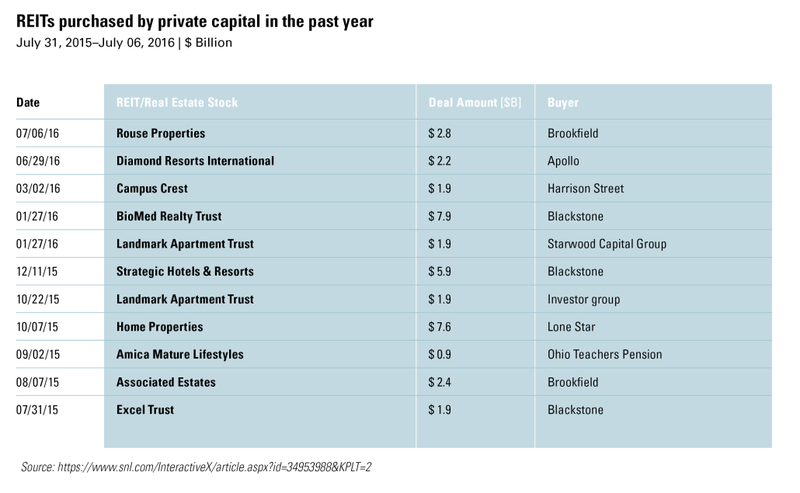 Investors sometimes pose the question, “Why buy the goods when you can buy the store?” In effect, private capital is answering that question by buying discounted REITs instead of individual properties. 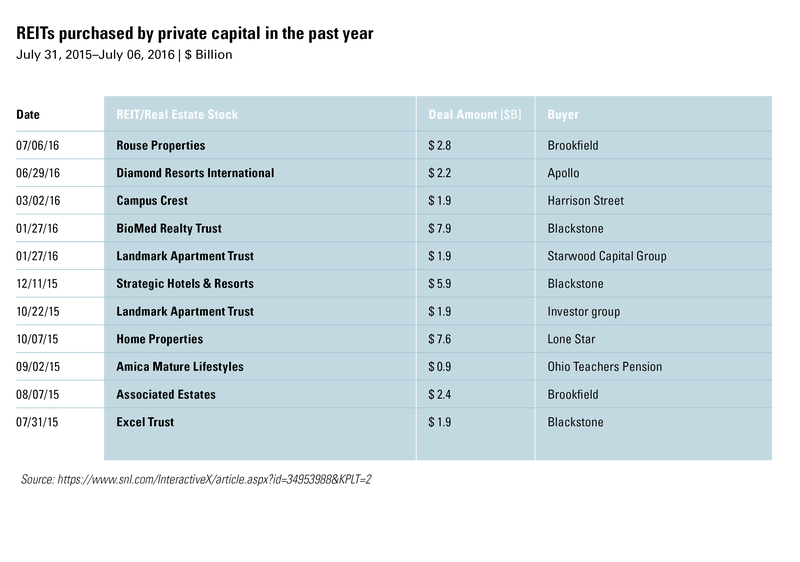 We expect this trend to continue as long as REITs trade at material discounts to their NAVs and as long as private capital is looking for ways to deploy nearly $250 billion in unspent capital commitments. This is a summary and does not constitute an offer to sell or a solicitation of any offer to buy or sell any securities or to participate in any investment strategy. This material is for information purposes only and its content should not be relied upon in making any investment decisions.The information provided is not a complete analysis of the market, industry, sector, or securities discussed. While the statements reflect the author’s good faith beliefs, assumptions and expectations, they are not intended as research and are not guarantees of future or actual performance. Furthermore, American Assets Capital Advisers, LLC (“AACA”) disclaims any obligation to publicly update or revise any statement to reflect changes in underlying assumptions or factors, or new information, data or methods, future events or other changes. This document may contain forward-looking statements that are based on current expectations, forecasts and assumptions that involve risks and uncertainties that could cause actual outcomes and results to differ materially.